In this episode, I interview Derral Eves, one the world’s top YouTube video marketing experts. He’s consulted with many of the world’s largest YouTube channels and is also the founder of VidSummit, an industry conference for video creators, agencies, and brands. Derral explains how to collaborate with YouTube influencers and maximize your ads budget. You’ll discover what you need to know about how to disclose influencer/brand relationships. 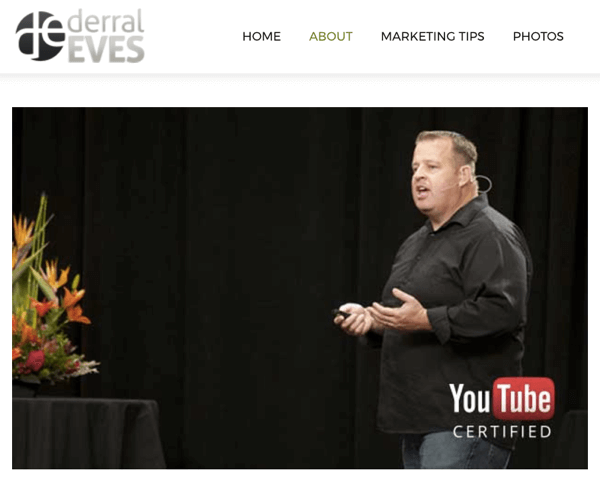 How to Work With YouTube Influencers featuring insights from Derral Eves on the Social Media Marketing podcast. Since 1999, Derral has worked with brands and businesses through his agency. Originally, Derral’s focus was using search engine optimization to increase websites’ visibility. After YouTube came along, his agency began optimizing clients’ lead generation videos on Google. Derral’s agency helps optimize his clients’ lead generation videos on Google. Derral helped the owner of a pest control company quintuple his business, and over a year, helped The Piano Guys go from being unknown to having 1.8 million subscribers and hundreds of millions of YouTube video views. Through his work with The Piano guys, Derral saw the power of audiences and the influencing power of his client. He was shocked at how engaged and excited people could get about sharing someone else’s vision, mission, and purpose. Through YouTube, The Piano Guys created a tribe and became visionaries. They brought people together and spread their uplifting message to the world through music and visual representation. People who work together and grow communities can ultimately change the world, Derral believes. Derral decided to focus solely on developing audiences and building influence and sold off the other portion of the business around 2007 or 2008. Since this transition, Derral has been especially attracted to projects and people that are making a difference in the world. Derral and his company have helped 14 different channels start from scratch, reach more than a million subscribers, and generate 21 billion video views. 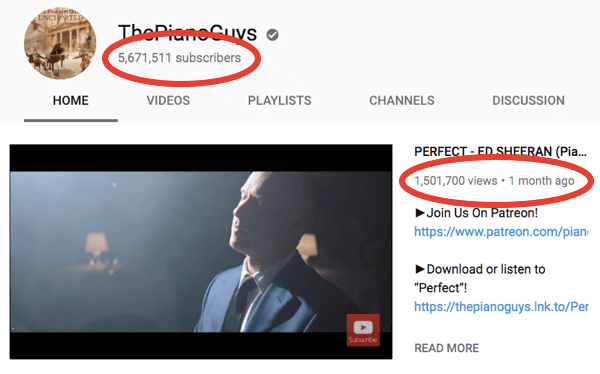 Derral helped The Piano Guys gain over 1 million subscribers on YouTube. After working with every vertical on YouTube, Derral has found a system for creating audiences. Also, he’s learned how influencers affect their tribe and get people involved in changing the world. As Derral and his team have navigated this landscape, they’ve learned that influencers aren’t a new trend. They’ve been around since the beginning of time. People are put in positions of influence. Derral has also learned that the way influencers communicate and interact with fans can make a big difference. By simply interacting like a regular person with their audience, influencers can have a positive impact on people. Listen to the show to hear Derral give an example of a great interaction between a fan and an influencer. Why Work With YouTube Creators? One of the biggest challenges an agency faces is how to get the most visibility for their clients. You can always pay for an ad; however, influencers can make an impact that an ad can’t because the fans who engage with a specific creator or influencer are willing to listen and take direction from that influencer. Those fans have a sense of loyalty to the influencer, who’s already part of their lives. Influencers’ fans have a strong sense of loyalty to them. When agencies look for the most effective way to reach their intended audience, they have choices. They can do a targeted ad, integrate an influencer in the ad and target the influencer’s demographic, or include the influencer in an ad or brand integration (like a video) and have the influencer push traffic to the company without doing any advertising. It’s all about visibility and leverage. When someone has a social presence that reaches two million people, what they do and how they interact on their social channels can really jumpstart and elevate a campaign. When companies want sales, they can benefit from the authority that influencers wield. They get people over the hurdle of whether to buy something based on how the influencer showcases the product or service. For example, when Derral was looking for a solution to his home WiFi issues, he came across an influencer he trusts who gave a glowing recommendation for a specific product (a router system). Derral didn’t do any more research. He watched the influencer’s presentation and bought the product for $600. That’s the type of power that’s out there. If a business can integrate an influencer into a campaign, the business will have a higher likelihood of success. However, for a campaign to be successful, you need to let the influencer create what they want. Just give them some light parameters. Remember, the influencer isn’t taking over the whole campaign, just one little component, like the Holderness family did with this video for Neutrogena sunscreen. Influencers give a campaign the organic push it needs. Influencers also give the campaign credibility, which you can always point back to in other parts of your campaign to help people make decisions about higher-end products. For example, say your influencer has five million followers on Facebook and incredible reach. After the influencer reposts a review of your product and pushes it out, you can enhance those actions and put some ads behind it. Look for ways to leverage the influencer and their audience. Listen to the show to hear our analogy comparing hiring an influencer and home improvement shows. To find influencers, SocialBluebook.com is a good place to start. You’ll find listings, cost estimates for working with influencers, and a tool for contacting potential candidates. As you research influencers for potential collaborations, check whether their content is compatible with your brand. Review multiple examples of their work, because they may have produced one video that indicates a good fit but another that’s not brand-safe. You’ll also want to pay attention to how they interact with other companies (brand deals, product reviews) so you can have a good discussion with them. 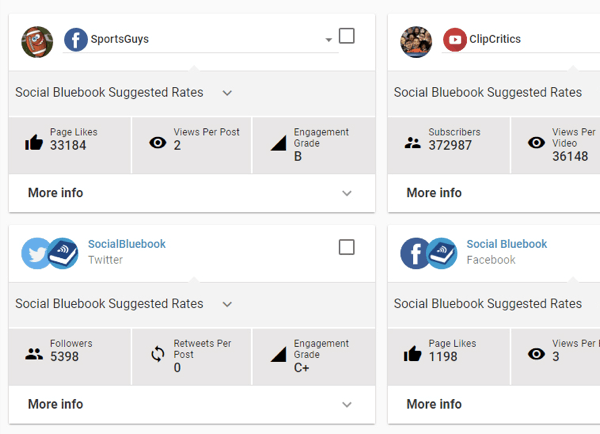 Use Social Bluebook to find influencers who fit your needs. When you’re ready to move forward with an influencer, create a document that states what you’re offering and what your asks are (such as pushing traffic to a website or video). As you draft this document, remember that creators want to create and don’t want to be told what to create. They’ve built their audience and you’re trying to leverage it. Sometimes, letting go of some control is tough and you need to negotiate how the business relationship will work. However, the influencer knows what’s best for their audience. To create a document that provides a good starting point, keep it simple. Offer the influencer a specific amount of money and outline what you want them to do. For example, you might ask the influencer to push traffic to a specific video, support your brand on certain social media channels, and run their content as an ad. You can mention talking points but don’t tell the influencer to follow a script. You also shouldn’t specify titles, descriptions, people you want to have on the set, or your need for legal review. When you’re deciding how much money to offer, keep in mind that some influencers make a ton of money because their audience size is valuable to their business partners and helps them make as much as six figures a month from ads alone. 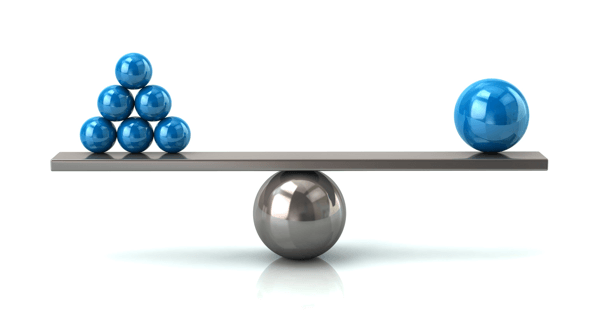 Derral recommends weighing the cost and audience for a radio or TV spot against the size of the influencer’s audience. Spending half the cost of a radio or TV ad on a digital influencer might let you reach a larger audience. Instead of working with one or two influencers who have a huge following (millions of subscribers), Derral encourages businesses to consider working with 50-300 influencers who have smaller audiences (say 50,000 or 100,000 subscribers). Consider working with multiple influencers with smaller audiences rather than one influencer with a large audience. Smaller influencers are passionate about their niche. Although they might have some ads, you could be their first brand deal that’s paying them $500 or $1,000. Some of these influencers are growing at an exponential rate too. For instance, Derral’s friends who started a YouTube channel in January now have 1.3 million subscribers. If you approached them in February to do a brand deal, they would have gladly accepted for a minimal amount. Now big brands are approaching them and their value and price have gone up. As you finalize a deal with an influencer, Derral says to make sure the asks, the delivery timeframe, and the supporting tasks (such as social posting across platforms) are clear. Also, specify the hashtags and URLs that the influencer needs to use. Additionally, if you have an affiliate program, think about including the influencer. For instance, you can offer an influencer a reduced rate along with an affiliate code. Influencers are often excited about affiliate programs because they offer income beyond the initial fee. Influencers push harder not only for the additional money, but also because the product or service resonates with them. Listen to the show to learn how data from a brand deal helps influencers. The FTC is aware of influencers, so whenever and however you compensate your influencers (with money or free products), they have to disclose that their content is an ad. Services such as YouTube have check boxes to indicate something is a paid endorsement. The YouTube video description and social posts also need to indicate when content is an ad (for instance with the hashtag, #ad), so the audience is aware the person endorsing a product is getting paid. On YouTube, influencers can check a box indicating something is paid content. I ask how creators can disclose they’re being paid without the relationship sounding strange. Derral says his VidSummit business partner Shonduras (aka Shaun McBride) does an excellent job with disclosures. He’s very transparent with his audience and says which company is making the video possible. Also, Shonduras creates incredible adventures around each product so that the brand is the hero. He works with a team to see what the brand wants to accomplish and then applies his creativity because he knows his audience. If, as a content creator, you’re always thinking about how to make the brand the hero, agencies and brands will want to work with you. And when companies give influencers creative freedom, the audience will respect the final product and won’t feel like the creator sold out for a brand deal. Listen to the show to learn what Shonduras is talking about at VidSummit. Text is a good option when conversing with influencers. Agencies need to let the creator be creative, Derral reiterates. Influencers know the audience they built from the ground up. They know the tones, the way it works, every little nuance. Beyond that, it’s all about timing, communication, and control. Agencies may get really frustrated because a lot of content creators don’t do email threads. But they’ll do a text message. 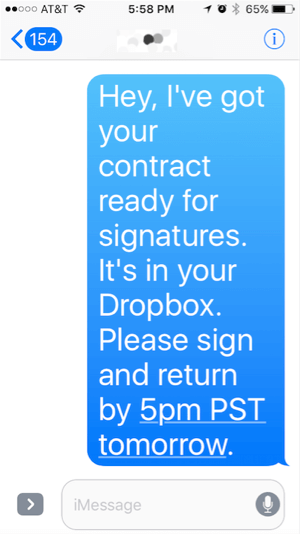 While you can’t send docs via text, you can (and should) text influencers to let them know when a contract is sitting in their inbox. Don’t expect them to pick up a phone call either. Follow up on any phone call or correspondence with a text message. And send a text reminding them that you have a phone call coming up the next day. Listen to the show to discover more about VidSummit. Mark Zuckerberg recently announced Facebook Watch, their new platform for episodic video content. I ask for Derral’s thoughts, and he says the mission of anyone who has a platform is for people to stay on it as long as possible. Watch is part of Facebook’s effort to provide all of the content people want and help them find the people with whom they want to connect. Watch will keep people on Facebook longer. It’s organized so that it’s easier to search and engage with people and profiles. All of these features are part of Facebook’s efforts to obliterate the Internet as we know it and provide a platform that you don’t want to leave. Derral also believes Watch is a precursor of all things virtual reality (VR). This type of setting would pull socials together, have communities, and offer immersive entertainment. Facebook Watch means competition in a good way. They’re competing with Netflix, digital cable providers, Amazon Prime, HBO, Showtime, and so on. Facebook has deep pockets and has already built relationships with creators from platforms like YouTube to produce high-quality content. Facebook is diverting a lot of money toward content creation, just like Netflix and Amazon do to create original content. Facebook has publicly disclosed they’re willing to invest up to three million dollars per episode. Some YouTubers do really high production on a shoestring budget (maybe a couple hundred thousand dollars maximum). Derral is excited to see what Facebook and the creators who work with them do, and how other providers respond. Derral also believes Watch is only the beginning of Facebook’s plan. He predicts that Facebook will show they can put live video, episodic content, and other types of content that normally wouldn’t do well on Facebook but is searchable in the Facebook ecosystem and do it in a way that makes sense. Facebook Watch features episodic content. In other words, Facebook is trying to disrupt the video space as they have with Live. There will be some hiccups, but since Facebook wants to dominate everything, they’re willing to modify features so they work better. Facebook is investing so much in online video because it has emerged as a leading source of entertainment. One of Derral’s clients had a well-known series on Showtime for many years but she’d rarely be approached in public. As soon as Netflix picked up her show, she started getting mobbed because more people saw her on Netflix than they ever did on Showtime. Indeed, influencers who shoot with their phone or an inexpensive camera have bigger audiences and social reach than A-list celebrities. That’s why people like The Rock are starting their own YouTube channels to bring up their social presence. Some of the most influential people are content creators on YouTube. You don’t need a huge budget. You just need to be able to attract an audience, give them value, and build a community. Listen to the show to hear my thoughts on this creator renaissance. 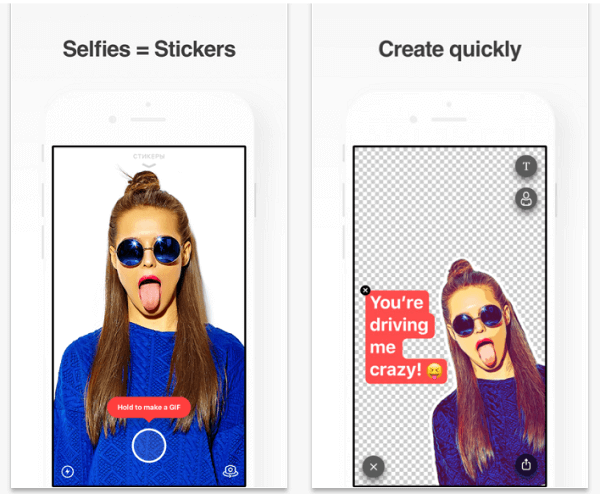 With Sticky AI, you can convert selfies into stickers or GIFs. These images are a cool way to share a fun, personal response instead of an emoji. For example, when someone messages you, instead of replying with an emoji thumbs up, you can use the app to create an animated GIF of yourself giving a thumbs up. Create virtual stickers with Sticky AI. Use the Sticky AI app to capture yourself as a still or GIF image. The app then removes the background and lets you add text. You can save the image and share it via any compatible messaging or social media app on your phone, such as Facebook Messenger, Instagram, Snapchat, WeChat, iMessage, and so forth. Sticky AI is a free app, currently available on iOS and coming soon to Android. Listen to the show to learn more and let us know how Sticky AI works for you. Learn more about Derral on his website and his YouTube video channel. Check out The Piano Guys on YouTube. Discover more about Facebook Watch and their financial commitment to new content. Check out The Rock’s YouTube channel. Read Forbes’ top influencers list. Familiarize yourself with the FTC’s endorsement guidelines and YouTube’s disclosure options. Learn more about Shonduras and watch his YouTube channel. What do you think? 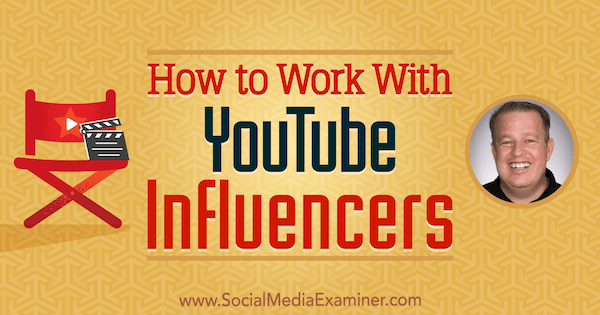 What are your thoughts on working with You Tube influencers? Please leave your comments below.